The silver Ultimate Layout Pendant captures one of the most iconic of Ultimate maneuvers, the Layout. Nothing captures the attention of the crowd more than a headlong dive to grasp a wayward throw or to block a potential goal. The Ultimate Layout Pendant is made of 925 silver. 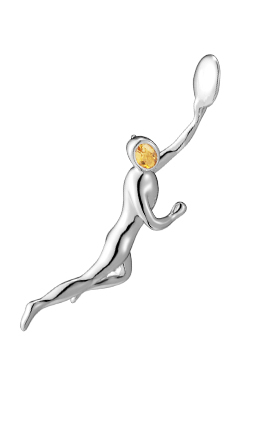 The player’s head is set with a citrine stone.